Rescued Pets Movement’s first official transport was a success, and today another group of dogs and cats will be bound for new homes in Colorado (more about that later). This email is about the two dogs and two puppies we pulled out of BARC’s hospital ward last week so that it could make room for other sick animals. These four kids had kennel cough, which was easy to treat. Right now they are boarding at our vet, so we would love to get them into loving foster homes for just two weeks where they can await transport to Colorado. Being a temporary foster is awesome: your costs are covered or you can receive a tax deduction for any of your expenses, you provide love and a home to a homeless pet (thereby filling up your karma bucket), and it is for a definitive (and short) amount of time. Can you foster one of these pets for just two weeks? If you would like to become a temporary foster or would like more information about temporary fostering, please contact us at info@rescuedpetsmovement.org. Every cent of your donation will go toward transporting these well-deserving pets, toward temporarily fostering a pet until he or she can be transported, and/or toward reasonable and necessary medical costs. Any excess funds we receive (we can dream, right?!) will automatically be applied to our next transport. Also, if one of the animals listed is adopted or rescued by another group, we will pull another dog or cat in his or her place. Thank you so much for joining our movement to make Houston a no-kill city. * Your PayPal receipt can serve as your receipt for tax-deduction purposes, and if you donate by check, receipts will be mailed on a quarterly basis. I am a neutered male, tricolor German Shepherd Dog mix. I have been at the shelter since Sep 14, 2013. I am a female, black and tan Rottweiler mix. I have been at the shelter since Sep 21, 2013. I am a spayed female, tricolor Beagle mix. I have been at the shelter since Sep 06, 2013. I am a spayed female, black and white Labrador Retriever mix. I have been at the shelter since Sep 07, 2013. Today is Rescued Pets Movement’s first official transport. We have such a large demand from Colorado that we are actually having to make TWO back-to-back trips. One today and one on Monday (we have a wonderful driver). After Monday, over 70 pets will leave Houston’s shelters and go to loving forever and foster homes in Colorado. This email is about the two dogs and two puppies we are pulling out of BARC’s hospital ward so that it can make room for other sick animals. These four kids have kennel cough, which is easy to treat, but not a good reason to die. This is a special plea for funds because these four pups are going to cost us quite a bit more than the typical $50 per pet. All four are being pulled today and taken to our veterinarian to receive medical care, and then we will have to board them for approximately two weeks before we can transport them to the group in Colorado waiting for them. This is also a special plea for temporary fosters. We are working hard to build a temporary foster base for the animals we save that cannot go immediately out for transport. Being a temporary foster is awesome: your costs are covered or you can receive a tax deduction for any of your expenses, you provide love and a home to a homeless pet (thereby filling up your karma bucket), and it is for a definitive (and short) amount of time. 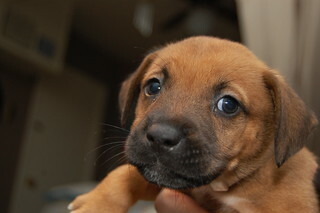 We would love for you to foster one of these pets for just two weeks. If you would like to become a temporary foster or would like more information about temporary fostering, please contact us at info@rescuedpetsmovement.org. Every cent of your donation will go towards transporting these well-deserving pets, towards temporarily fostering a pet until he or she can be transported, and/or towards reasonable and necessary medical costs. Any excess funds we receive (we can dream, right?!) will automatically be applied to our next transport. Also, if one of the animals listed is adopted or rescued by another group, we will pull another dog or cat in his or her place. Thank you so much for your help. Together we can make Houston a no-kill city. Although we will be sending out a more formal introductory email and will have our “coming out” party in the weeks to come, I wanted to preview a new concept that is saving hundreds of Houston’s homeless animals each month. It is Rescued Pets Movement, Inc. There are an estimated 1.2 million homeless animals on the streets of Houston. BARC (the city pound) just emailed us that in the last two days it has taken in 148 dogs and 103 cats. In. Just. Two. Days. BARC is so full that it is begging Houston’s already overflowing rescue groups to come pull dogs and cats. This is sickening and saddening, and these are not good stats for the people of Houston. Rescued Pets Movement was recently formed by five individuals with a collective 50+ years of experience in the traditional animal rescue setting. As hard as these wonderful rescues work, we have seen how there is never enough money or manpower to make a large enough dent in the above stats. It is now time for change–a “movement” so to speak. In the past two months, the members of this group (with the kind financial help of Scout’s Honor Rescue and its donors) have transferred 360 dogs and cats (mostly from BARC) to responsible, fully vetted, no-kill rescue groups in Colorado. Rescued Pets Movement has plans to expand to such an extent that we take Houston from being a city with one of the nation’s highest euthanasia rates to a no-kill city by sending pets all over the nation to cities that actually need (yes, need) adoptable dogs and cats. It is simple supply and demand. Houston has a large supply, and there is an overwhelming demand for our homeless pets. At the end of this week, we will be sending 66 dogs and cats to Colorado, where foster parents with other no-kill rescue groups are excitedly waiting to take these animals into their homes and get them adopted into loving forever homes as quickly as possible. That is 66 fewer dogs and cats off the Houston streets and out of BARC and given a second chance. Now, that is a good stat. As a fledgling organization, however, we need funding. We just yesterday established Rescued Pets Movement as a nonprofit eligible for tax-deductible donations, and we want your money! Please join our movement to make Houston a no-kill city. Every cent of your donation will go toward transporting these well-deserving pets and/or toward temporarily fostering a pet until he or she can be transported. Like all puppies, it takes us a while to learn new things. We’ve mastered the essential stuff–sleeping, playing, eating, typing–so please be patient while we set up our social media sites. Soon you’ll be able to follow us on all your favorite sites and get information about the pets we’re helping to find good forever homes.